Dealing with the loss of a loved one can be very stressful. Even as you deal with all the grief and pain, you still need to make all the funeral arrangement; that is something unavoidable. 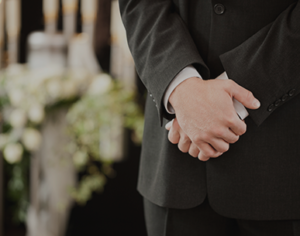 We at Heavens Own have been providing excellent funeral services in Blacktown and have the experience as well as the expertise to provide you solutions that match your specific needs. We know exactly what it takes to craft sophisticated and very elegant services and guide you right through all the aspects of the services. Our highly committed funeral director in Blacktown personally oversees all the arrangements. While we provide the best services, we are very meticulous and detailed in our approach. This takes away a certain amount of the stain and stress of the loss you have faced. Our funeral director in Blacktown is available night and day, to provide the support and services you need. We are focused on providing you the kind of services you need. We cater to your specific requirements and make sure that the solutions we provide fit perfectly into your budget. There are different packages you can choose from and if you don’t find the kind of solutions you are looking for, in these packages, we can craft them for you. It is this personalised approach that helps us provide you with the kind of solutions that work for you. Even if you are on a budget, we have some budget funeral services in Blacktown that can match your requirement. Every funeral director at Heavens Own is a licensed professional and experienced in carefully planning all the arrangements. We provide services for different cultures and religions. We provide end-to-end solutions and make sure that the entire service goes as planned. We carefully guide you through the entire process and as to what has to be done once you get the death certificate that mentions the cause of death. For more information, call Heavens Own at 02 9002 7344. You can also send us your enquiries via this online form on our website, and we will revert shortly.